“The Barn” is a rustic purpose-built centre in a fabulous rural setting, providing facilities for small functions, conferences and accommodation. 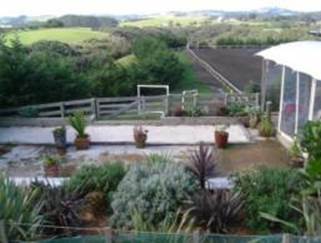 There is access to the swimming pool complex from the Barn. 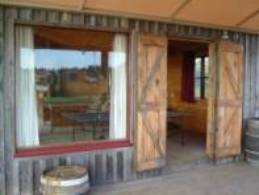 “The Barn” sleeps up to 10 people in two bunkrooms (one sleeping 4 people and one sleeping 6 people) and is ideal for small groups. 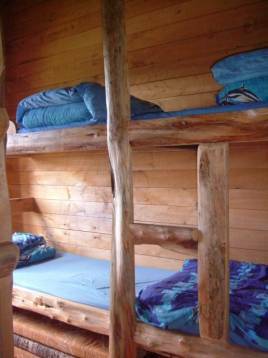 Bed linen for each bunk bed is provided (please bring your own towels), and there are shower and toilet facilities adjacent to the rooms. Additional shower and toilet facilities are available at the pools. “The Barn” is an ideal place to hold your small conference or function. A number of companies use these facilities regularly to hold meetings, team building days, and Christmas functions. Weddings have been held at the premises, as well as birthday celebrations, and family get-togethers. We welcome self-catering, or can put you in touch with good local caterers. 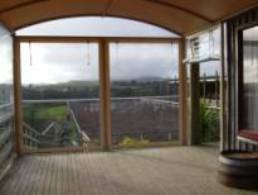 “The Barn” is clad inside and out with locally grown and milled macrocarpa timber – giving a truly rustic smell and feel to the place. 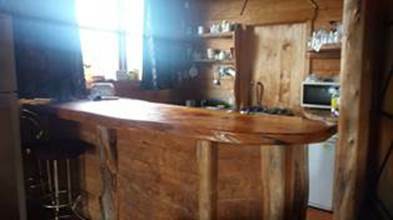 The large lounge/entertainment room has a kitchenette at one end with a feature macrocarpa bar, 3 big sofa’s, a wood burner, and TV. There are cards and books for guests to enjoy. Guests also have access to the Swimming Pool complex from the patio. The side doors open out onto the conservatory. It is lovely to sit out here, relax and unwind, and take in the breathtaking views. The conservatory opens out onto a patio surrounded by lovely gardens. There is access to the pool complex from the patio. There is a large barbeque available for guests to use. Cutlery and crockery are provided, and guests may cook their own bbq meals “al-fresco” in this beautiful setting. Other basic kitchenette facilities are available including an electric oven, 4 burner gas hob, microwave oven, kettle and toaster, large fridge. Enjoy a game of petanque in the lane situated on the patio beyond the conservatory. All in all it’s a fabulous place to relax with friends. 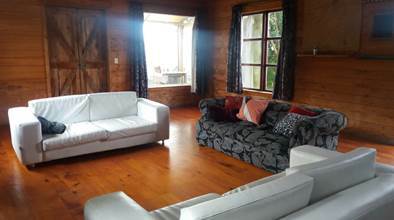 Minimum 2 night stay over weekends. Note that, unless you have booked for exclusive use, other people may also stay in the bunkrooms. Please see details on the Swimming Pools page for casual swimming hours. Venue Hire: A Day rate or an overnight rate is available. Please contact us for details.